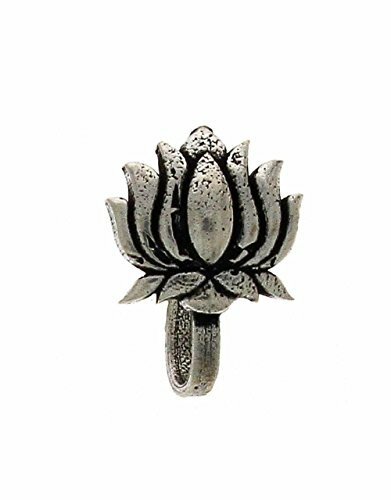 Material : Silver Oxidised Metal. 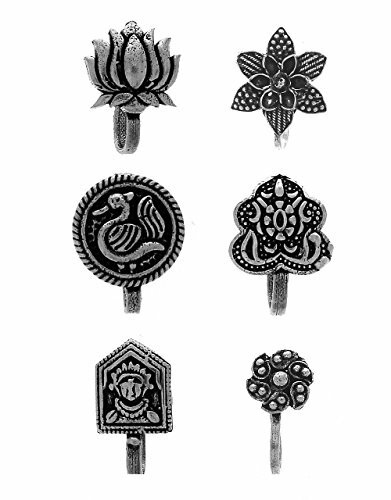 Make An Admirable Gift For Your Mother, Sister, Wife And Girlfriend. 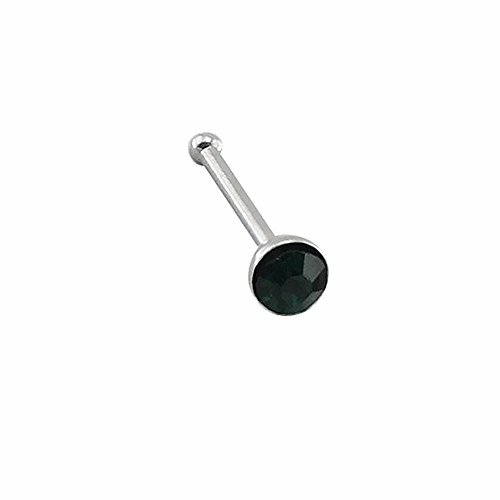 | Ideal For Party, Office & Daily Wear | Beautifully Designed Oxidized Silver Nose Pin Can Be Used On Birthday, Marriage, Engagement, Any Occassion. 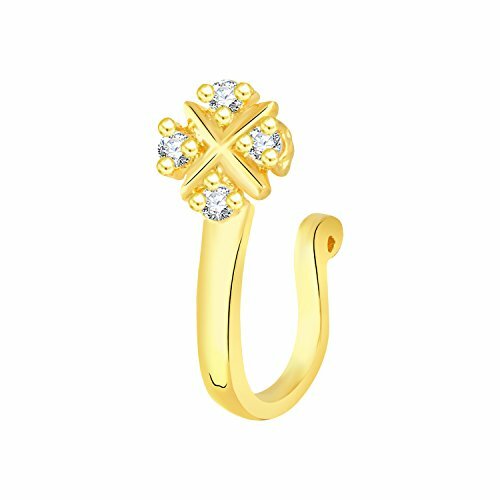 Designer Nose Pin from the Store of PinkCity Mart Jewellery. Evergreen Match With Every Dress Vibrant Color Comfortable Gentle Fit. 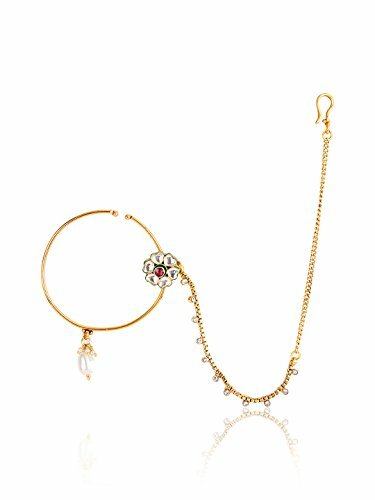 Gift For Her:- Festival , VALENTINE, BIRTHDAY, ANNIVERSARY gift for someone you Mother Sister Beautiful Wife & Girlfriend. 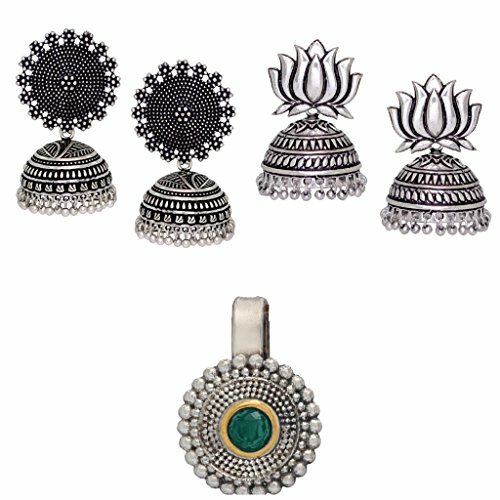 An Ultimate Complete Gift Pack For Mother, Sister, Wife, Girlfriend and Friends. 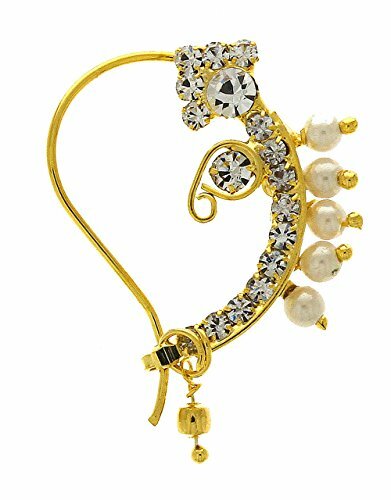 | Beautiful Indian Traditional Designer Wonderful 2 Earrings With 1 Nose Pin Combo Set Ideal For Party, Office & Daily Wear | You Can Be Use On Birthday, Marriage, Engagement, Any Occassion. 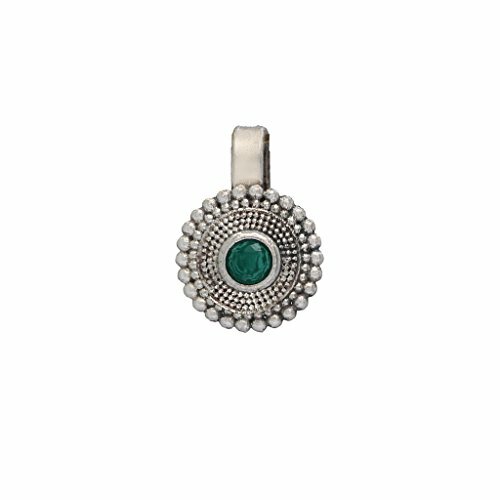 Beauty:- This Beautifully Crafted Jewelry is Made of 925 STERLING SILVER and Best Quality stone.The Model of The Jewelry Made of Handmade Design Which Gives Look of Real Jewelry. 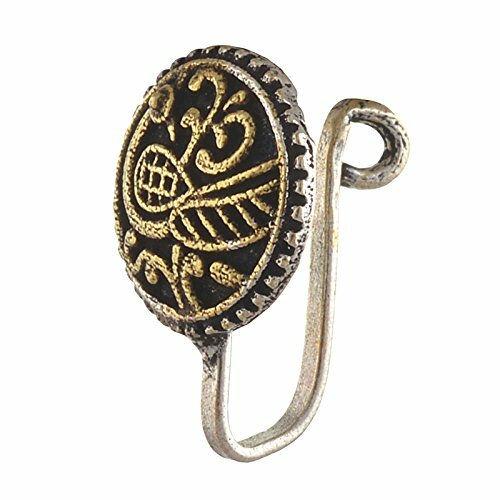 This Nose Pin Has High End Fashion Design Which Has Elegance & Style. 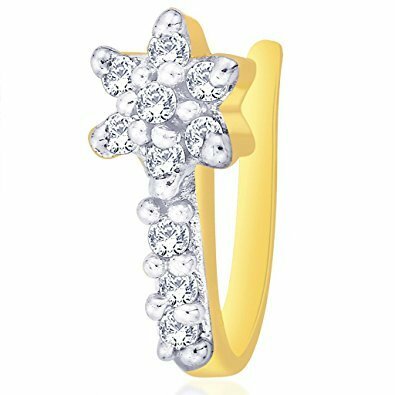 Gift For Her:- VaVALENTINE, BIRTHDAY, ANNIVERSARY gift for someone you Mother Sister Beautiful Wife & Girlfriend. 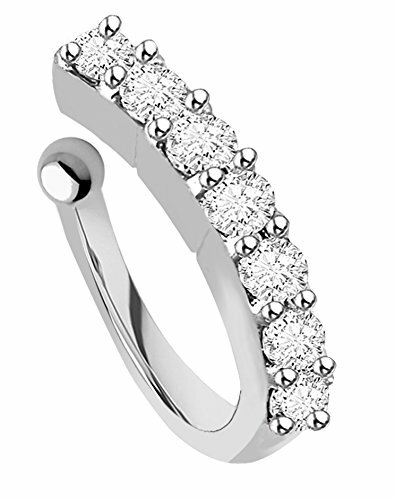 STYLE TIP: Wear this beautiful, chic and classy nose ring with any outfit - formal or ethnic. 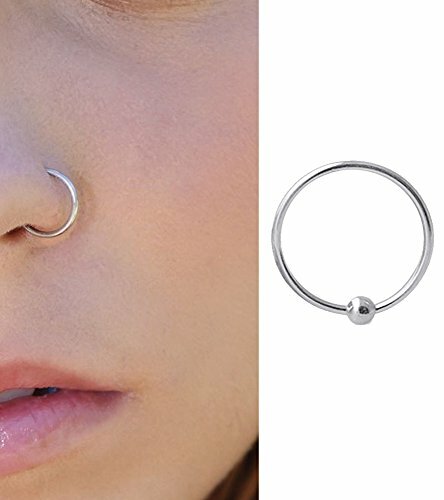 Nose Piercing Required. 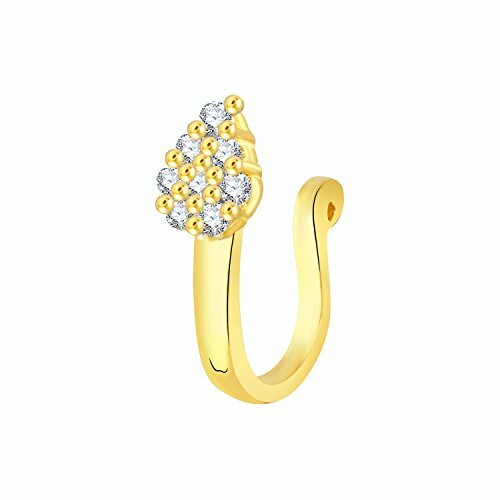 Designer Maharashtrian Nose Ring from the house of Anuradha Art Jewellery. 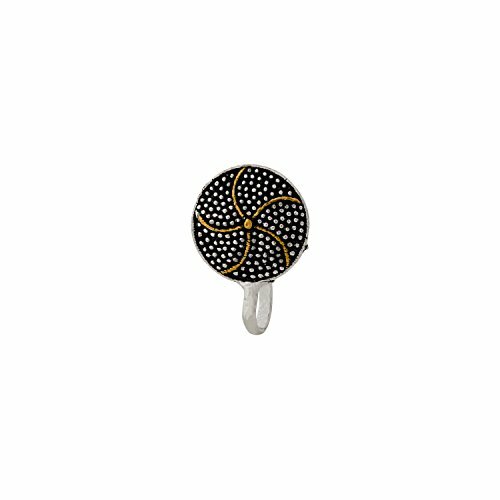 Suitable for Wedding & Festive occasions.Can be worn as ethnic, with traditional outfits. 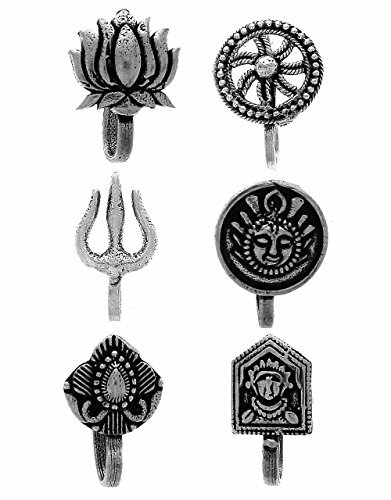 Maharashtrian look is incomplete without nath so Anuradha Art Jewellery offers this press nath in classic look. 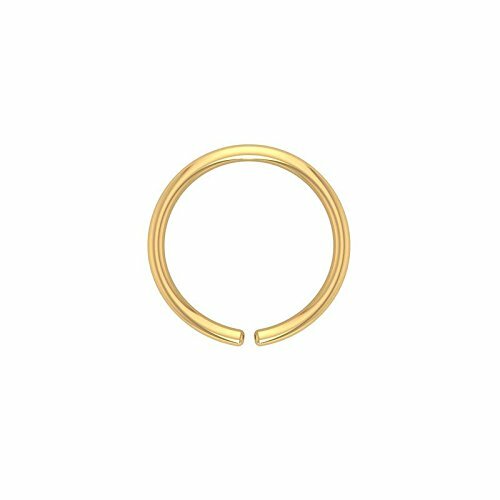 Material : Golden Finish Metal. Some colours may vary slightly because of the lighting . 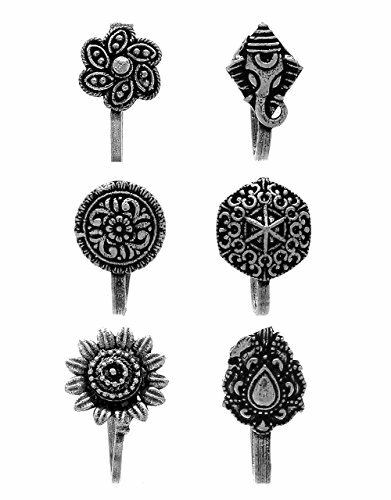 Combo set of adorable intricate carved nose pins for women. 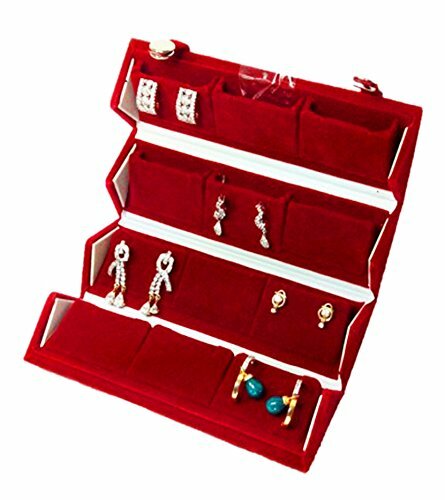 Make an admirable gift for your Mother, Sister, Wife and Girlfriend. 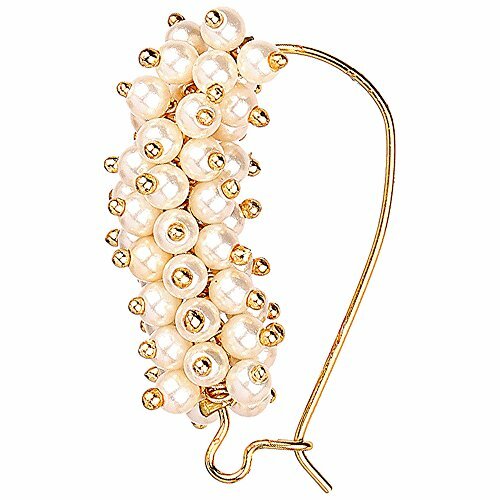 | Ideal For Party, Office & Daily Wear | Beautifully Designer Nose Pin Can Be Used On Birthday, Marriage, Engagement, Any Occassion. 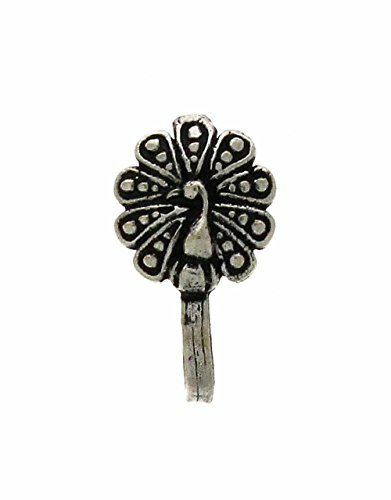 A beautiful peacock design nose pin in oxidized silver, an ideal add-on to your jewelry collection. 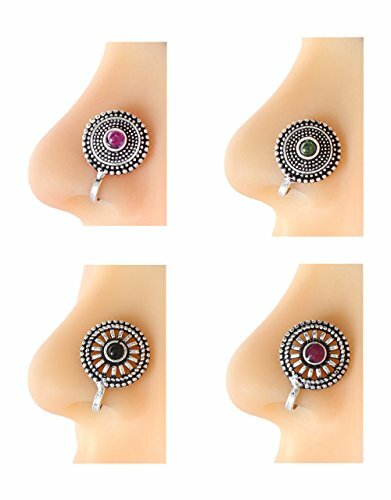 Easy to wear, just clip on, no nose piercing required. 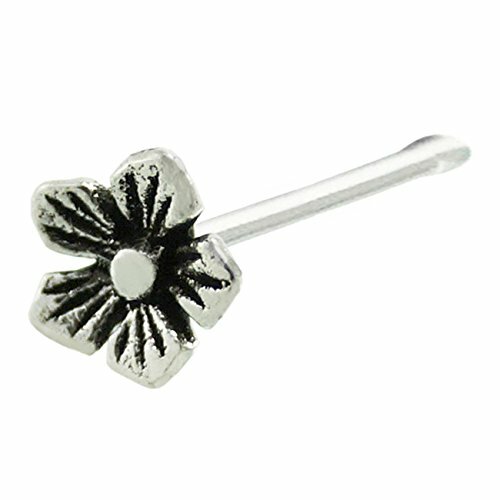 Extremely lightweight, this nose pin can be paired with a tank top or a floral palazzo to get the absolute style. 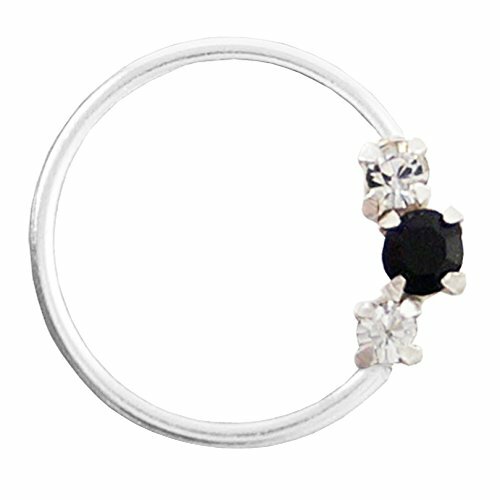 Even look elegant and stylish when worn with anarkali, lehengas, and sarees. A unique gift for your friends. Avoid Heat & Chemicals Like Perfume, Deo, Alchol, Etc. | Clean With Dry Cotton Cloth. 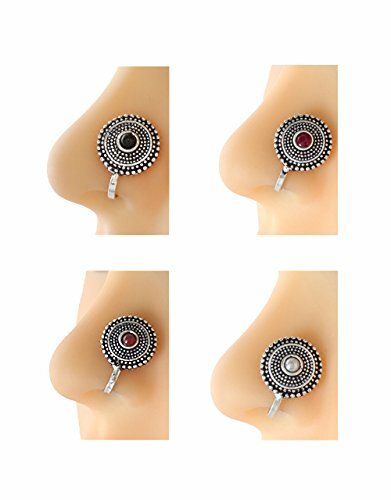 Look feminine and trendy by wearing this nose pin for women. 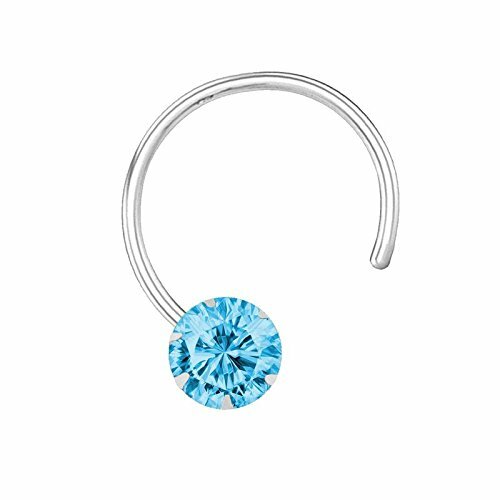 Made from good quality material, this nose pin has a very contemporary make. 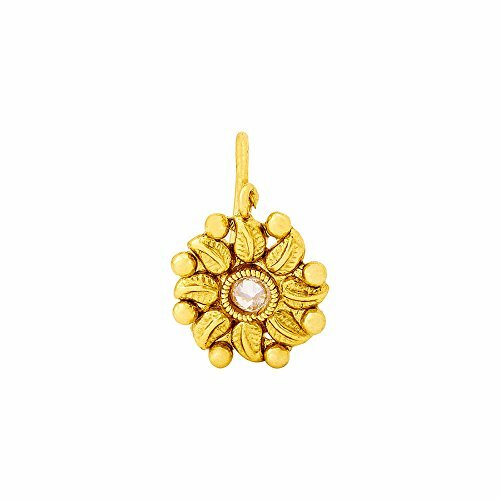 You can team this nose pin with western wear of your choice to look gorgeous. 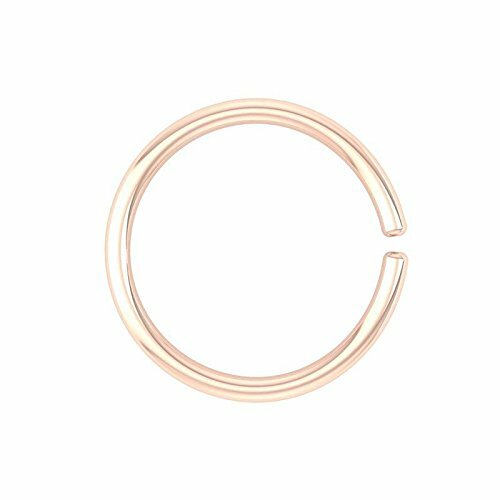 Jewelry Quality - The Theme of the Nosepin is to have a Royal looks effect with 18k Rose Gold Plated Base, to give a ethnic as well as rich look. 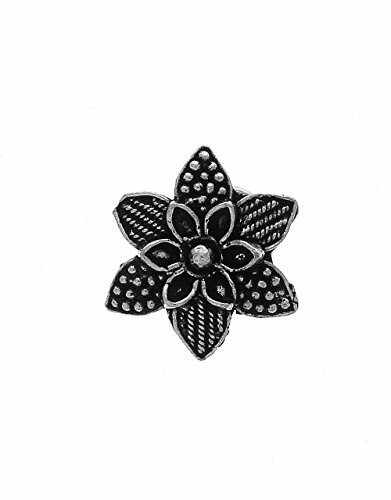 This Jewelry Has High End Fashion Design Which Has Elegance And Style. 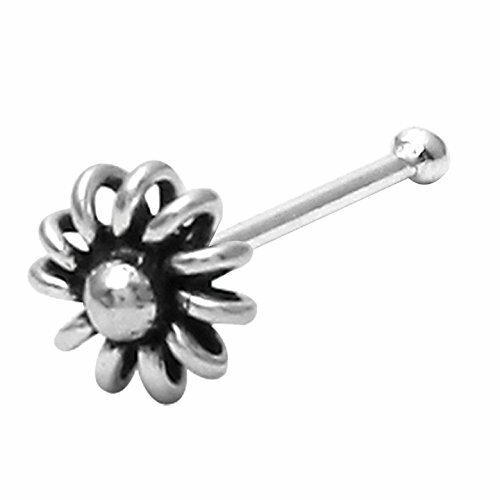 Piercing is required to wear this Nose Pin. The light weighted and 92.5 Silver makes it easy to carry them. 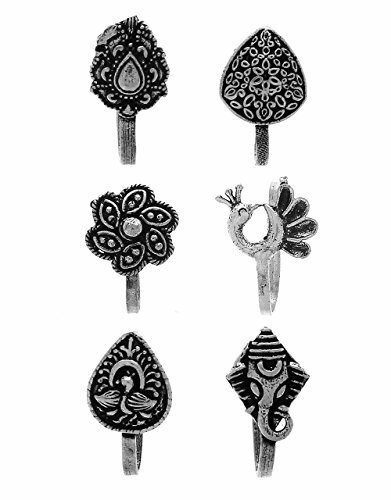 The Nose Pin is designed to suit Indian Fashion Taste. 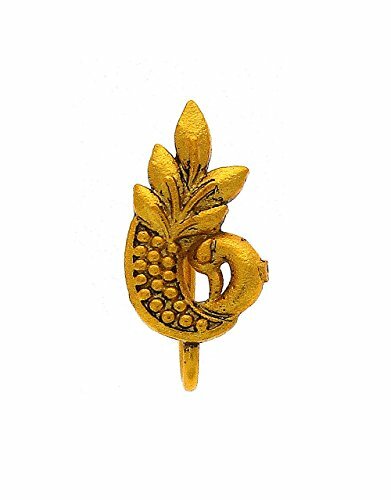 While to most a nose ring/pin may seems like a fashion statement, in India, it's an age old tradition that's heads back centuries and has significance even today. 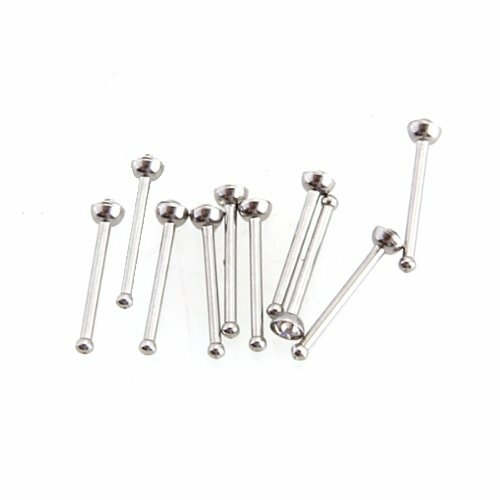 Abhooshan expertly finishes each nose ring/pin or stud to a smooth,fine polish. 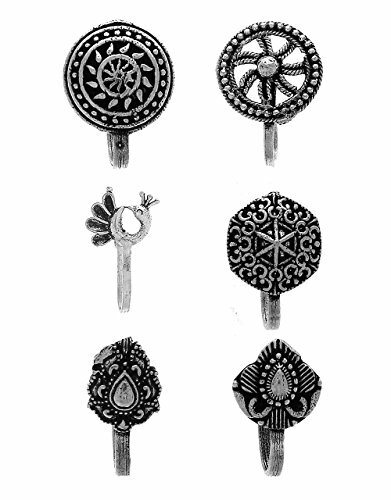 They are simply beautiful and the best you can buy. 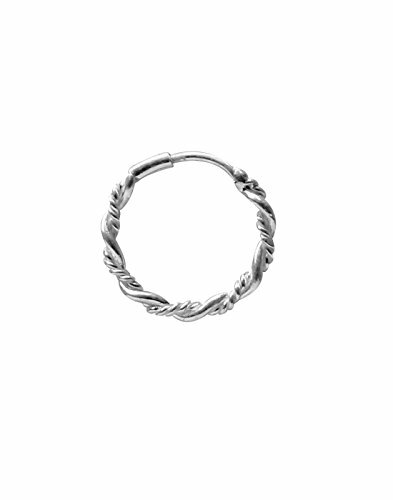 Make an Admirable Gift for your friend sister, mother or wife. Suitable for party, Office or Daily Wear. 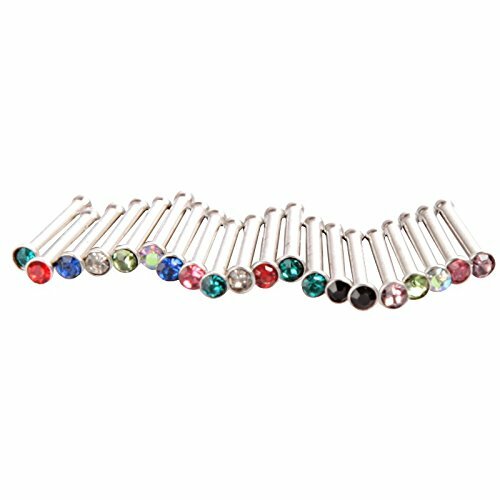 Beautifully Designed Nose Pin Can Be Used On Birthday, Marriage, Engagement, And Any Occasion. 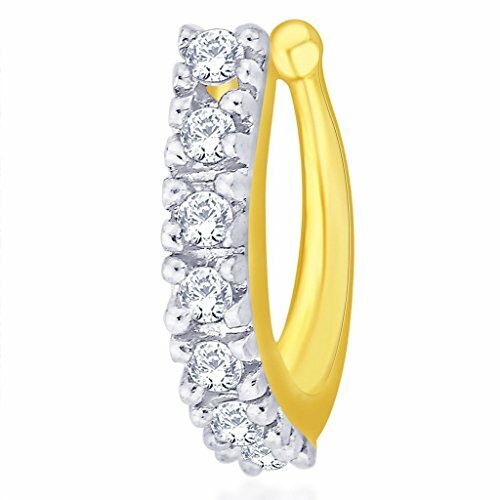 Jewelry Quality - The Theme of the Combo Nosepin Set is to have a Royal looks effect with high Quality Cubic Zirconia are studded with Silver Base, to give a ethnic as well as rich look. 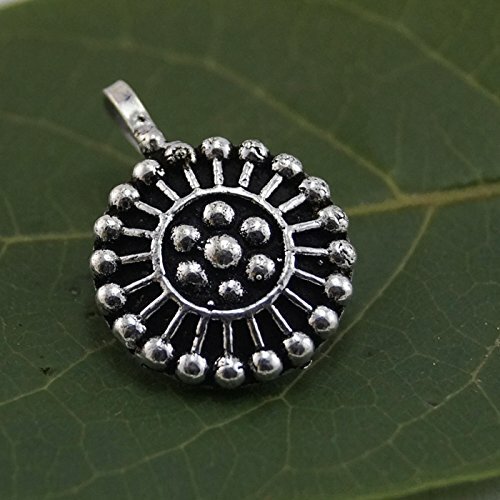 This Jewelry Has High End Fashion Design Which Has Elegance And Style. 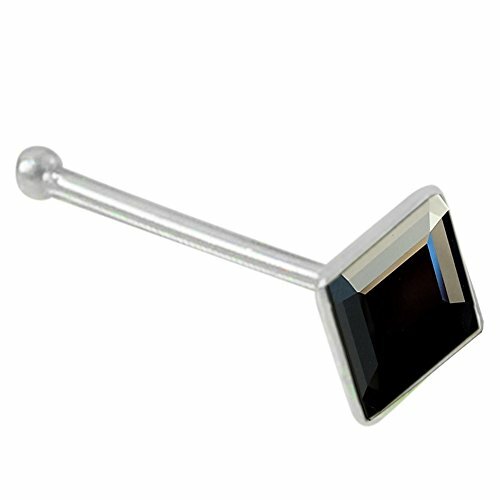 This Nath can be used with piercing nose only. 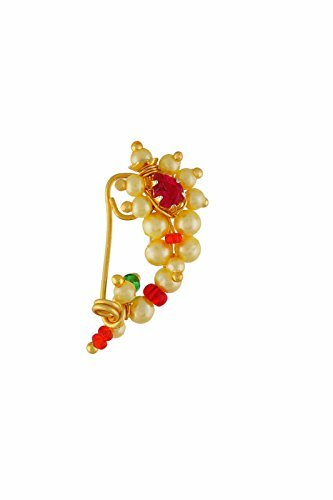 VAMA FASHIONS Gold Plated Nose Pin Maharashtrian style design traditional nath clip on type jewellery. 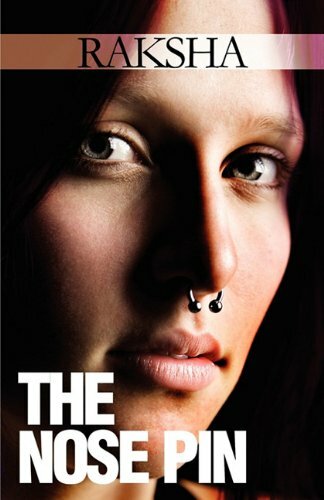 Piercing is required. 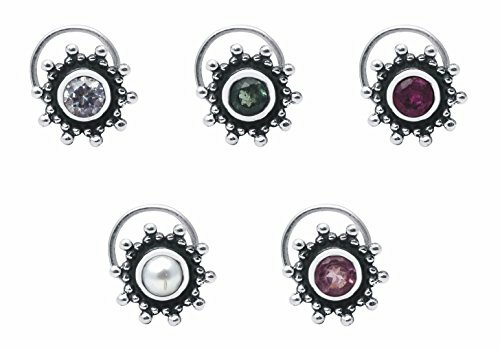 These rings are widely used as body jewellery as well. 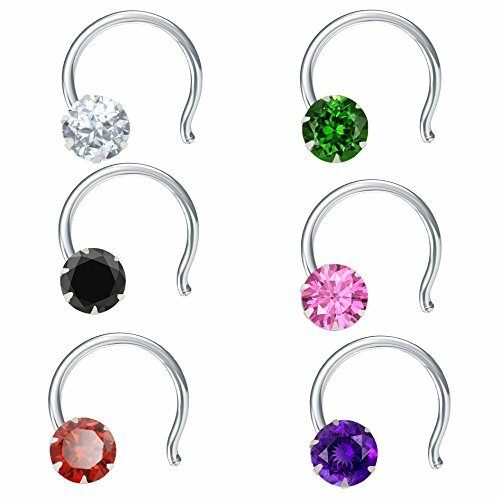 They are common wear for Helix, Tragus, Cartilage and Lobe among different body parts piercing. The light weighted and 92.5 Silver makes it easy to carry them. 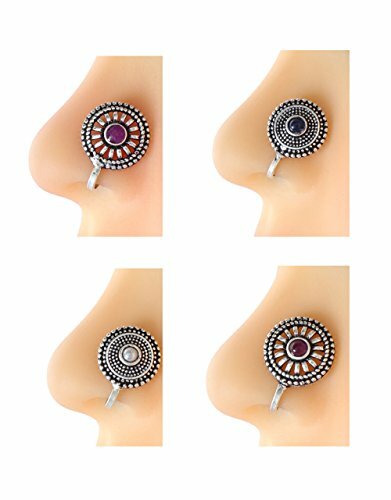 The Nose Ring is designed to suit Indian Fashion Taste. 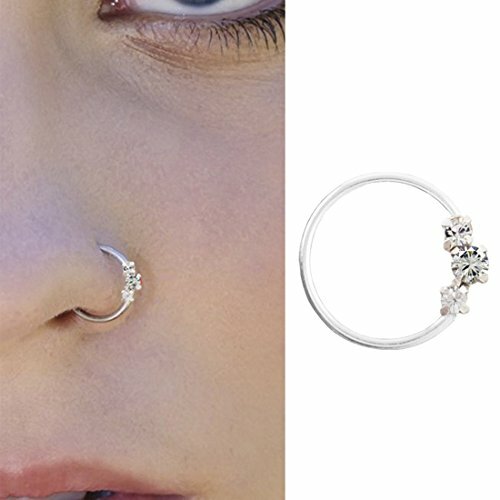 While to most a nose ring may seems like a fashion statement, in India, it's an age old tradition that's heads back centuries and has significance even today. 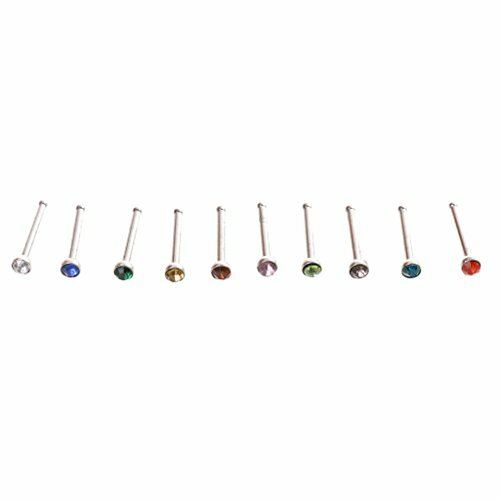 Abhooshan expertly finishes each nose ring or stud to a smooth,fine polish. 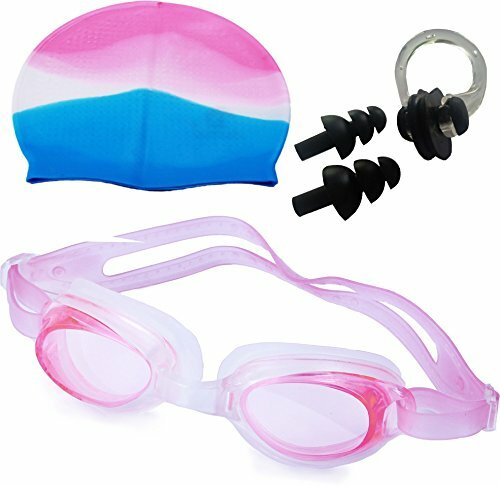 They are simply beautiful and the best you can buy. 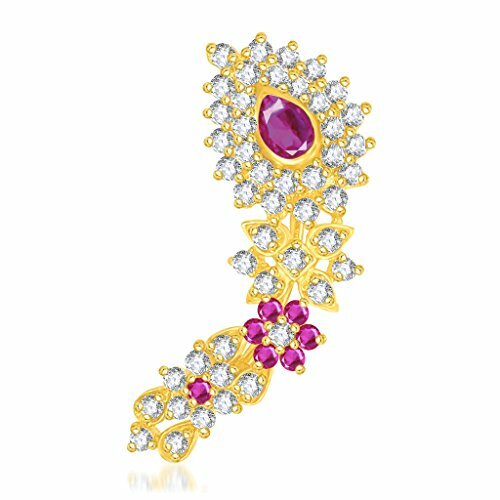 Jewelry Quality - The Theme of the Nosepin is to have a Royal looks effect with 18k Gold Plated Base, to give a ethnic as well as rich look. 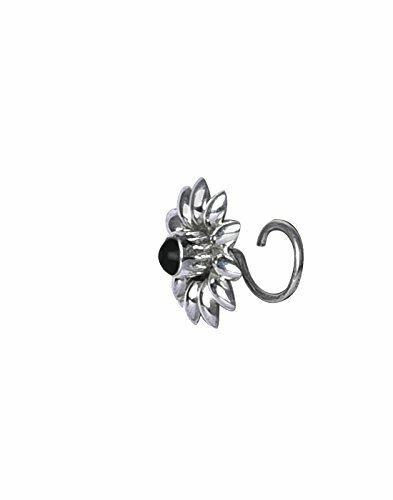 This Jewelry Has High End Fashion Design Which Has Elegance And Style. 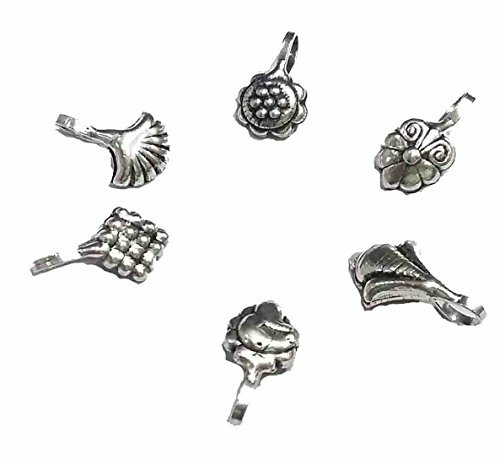 The fantastic jewelry you are longing for!